McMichael Yacht Brokers Ltd. are now dealers for Release Boats. 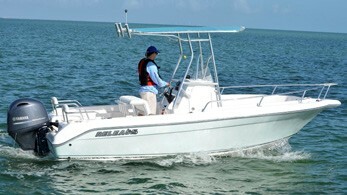 Headquartered in Homestead, FL, Release manufactures center console powerboats from 18 to 30 feet. Release Boats are built with hand-laid, wood-free composite construction techniques including a one-piece fiberglass stringer system with foam-filled hull and stringers. “The addition of the Release line of new boats is important to us,” said Howard McMichael, President of McMichael Yacht Brokers and Yards. “As a local dealership and service yard, we strive to offer people quality options for enjoying the water. McMichael will have two of the four Release center console models in stock and on display in July: the 180RX and the 208RX. Information on the Release 200RX and 308RX also will be available at all McMichael offices. With a team of seven brokers operating out of offices in Mamaroneck, NY, Essex, CT, and Newport, RI, McMichael is representing Release in New York, Connecticut and Rhode Island. McMichael also owns and operates two yards in Mamaroneck, offering the full range of services for yachts up to 50 feet. The company also has partnerships with yacht yards around the country, including Newport Shipyard and Essex Boat Works, to service McMichael new and brokerage boat customers. In addition to Release Boats, McMichael is a dealer for J Boats, MJM Yachts, Hanse Yachts, Amel Yachts, C&C Yachts, Sealine Yachts, and AB Inflatables. For more information, visit releaseboats.com and mcmichaelyachtbrokers.com.